It is now eleven days until the publication of my newest book "The Governess's Peculiar Journey." You can probably tell that I am excited about my latest release! I don't like to talk about a book while I am writing it, but once the story is finished, I enjoy discussing it. The heroine of this book is the governess of the title. 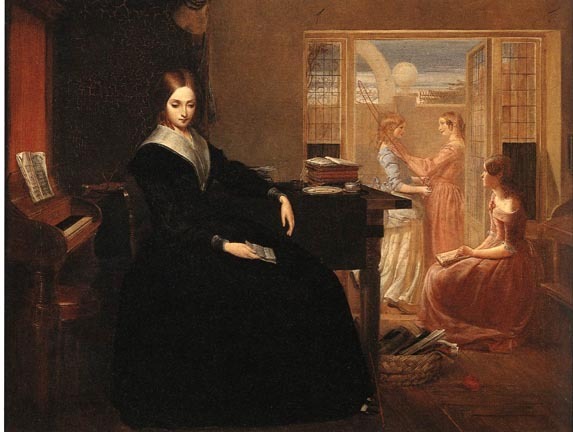 But she is a governess in Victorian England, in 1865. This is odd for a Regency romance, but with time travel all things are possible. in the households where they resided. The oil paintings above show situations Avice Palsham might certainly have experienced. 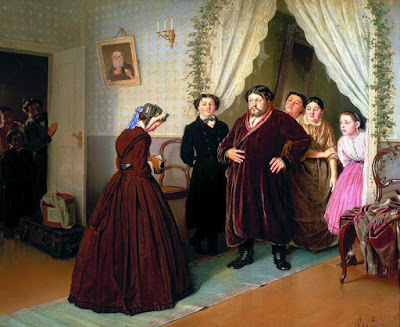 This picture above, painted in 1851, shows a governess and her young charge much like Avice and little Jacob. When looking for a post, Avice might have advertised like her Regency counterpart did, below. Or she might have used an agency like the one below. Another option Avice might have chosen, and perhaps she wished she had when the time travel occurred, was that of 'daily governess'. We might today call such a teacher, who did not live in the home of their employer, a 'tutor'. I find the position of the daily governess intriguing, and I have written a short story about such a governess. 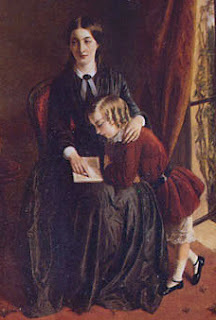 There were many books available that instructed the governess on how best to teach her pupils. From what I know of Avice, she would have read as many of these as were available to her. Avice Palsham is certainly a real person now to me, after writing her story. I hope that when this book is released on February 15, she will become real to everyone who reads it.